Motivation is as important in a business environment as it is in the sporting arena. It impacts both mental and physical reactions of people. Highly-motivated individuals have a willingness to get the job done efficiently and effectively, resulting in higher productivity, increased revenue, cost savings and satisfied employees and business owners. Next Sunday (23rd April) will see around 39,000 runners take part in the 2017 Virgin Money London Marathon, the 37th edition of the race. For some people this may be their first marathon, where they are raising money for a personal cause. Others may be looking to better a previous personal best. Britain’s favourite running Mum and 2014 European 10,000m champion, Jo Pavey, is looking to do just that, and break her personal performance in this year’s race, as well as gain selection for Britain’s London 2017 World Championship team. Whatever the personal goal, whether it is to cross the line quicker than in a previous race, or just to make it across that line shows an incredible amount of motivation from each participant. Perhaps an even better example of astonishing motivation was displayed last week, when a British veteran become the first double leg amputee to run six marathons in as many days in the Sahara desert. Duncan Slater, who lost both legs while serving in Afghanistan, completed the 251km (156 miles) Marathon Des Sables (MdS) in Morocco on Friday evening. The MdS is a multi-day ‘ultra-marathon’ or ‘ultra’ run in six days over a course of between 150 and 156 (254km) miles, in 120-degree heat. Mr Slater said he hoped to "inspire other wounded, injured and sick from the Armed Forces community and beyond". The importance of motivation, goal setting and performance management in business cannot be overstated. The setting of goals is important to guide your company and employees toward defined objectives. Motivation is important because it is the psychological catalyst employees and Managers require to reach their goals. Unless Managers are effective at objective setting and motivating their teams to perform, businesses are without purpose or direction. Having no objectives at all will almost certainly cause poor motivation or those that are too vague or don't adhere to the company's direction, can have the same effect. Business objective setting is important because it turns aspirations into tangible objects that require commitment and action. Setting SMART objectives means you can clarify your expectations, focus your efforts, use your time and resources productively, and increase your chances of achieving your aims. A company's culture, working atmosphere and attitude must be positive in order to raise motivation to productive levels. Ultimately, employees are motivated by factors that directly and positively impact their careers and personal lives. Managing the performance of employees is a continuous process. It involves making sure that an employee’s performance contributes to both team goals and those of the business as a whole. The ultimate aim of performance management is to continuously improve the performance of individuals, motivating them to successfully deliver the objectives of your organization and hopefully release discretionary effort…a willingness to do that little bit extra. Our training experts will work with you to create a blended learning solution that is unique to your organisation and gets the results you need. 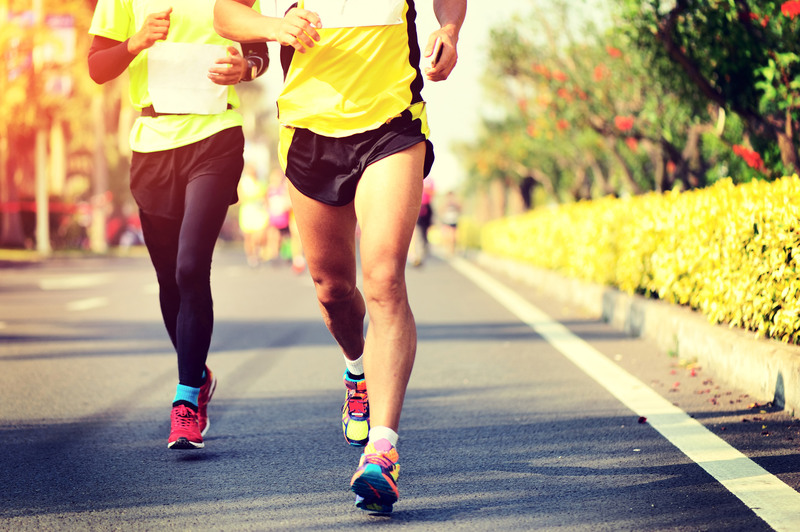 We might not be able to help you run a marathon but we can help you motivate your staff to perform to their best ability at work.